Here’s another manufacturer that’s billing itself as the one that goes back to the roots of coachbuilding. It’s a company that will build you a car like they used to do back in the ’60s - sort of - and it screams this message at you from the moment you glance at the company’s name: Puritalia. Purely Italian, it suggests, so Italian that the design of the Berlinetta - another Italian word that translates to ’little sedan’ but has morphed to refer to 2+2 sports cars and GTs - tries to embody styling details from some of the most famous cars to come out of Italy. 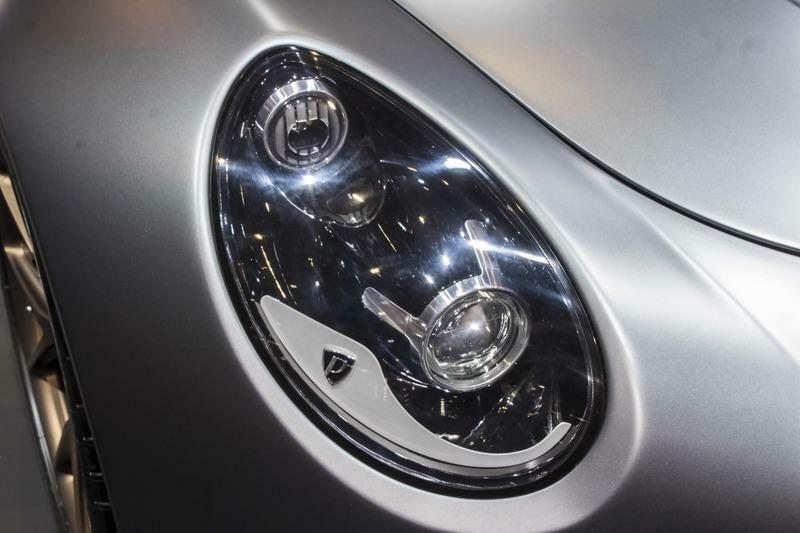 The automaker also boasts about offering a decidedly unique buying experience and that it will only make 150 Berlinettas in all, each of them featuring state-of-the-art patented technology. The first statement isn’t surprising coming from a manufacturer that wants to sell cars with a price tag of well over $500,000 since, nowadays, there’s a great emphasis on the way the customer experiences the whole buying process of luxury goods. Ferrari, Lamborghini, McLaren, and others all claim they’ve got you covered when you place your order, and they offer you the option of dispatching a team of experts to help you create a finished product that most eloquently speaks of who you are, what you are, and what you like. connoisseurs." The same brochure adds depth to the previous statement through a quote from the company’s CEO and Founder, Paolo Parente: “We like to think that we don’t sell our cars. We entrust them to owners who can take care of them and enjoy them." The carmaker says this unique buying procedure transforms you, the automotive connoisseur that has wisely chosen a Puritalia over other lesser cars, into a brand ambassador of sorts. You also get to taste the ’Puritalia Sartoria’ program which assists each customer through the building process "with the highest degree of customization [possible] and direct contact with the Design Team." 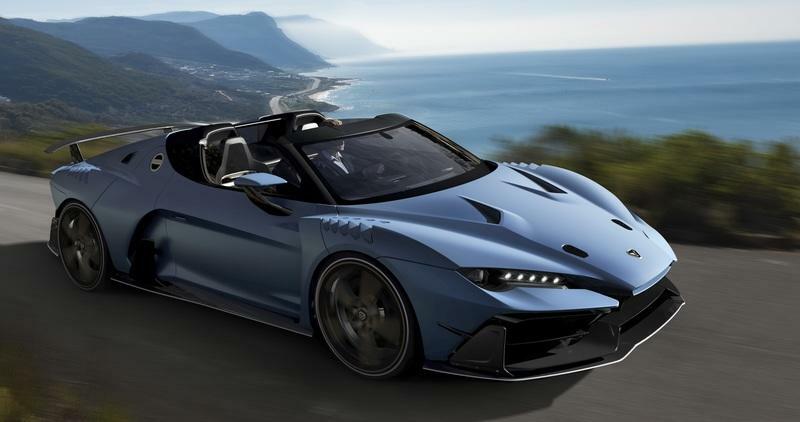 It all sounds good, but I bet there are naysayers that will doubt Puritalia’s ability to offer this treatment to 150 lucky customers considering their plans to build 427 units of the 427 Roadster back in 2015 simply vanished in fin air. The CEO fleetingly touches on the company’s decision to forgo production of the 427 Roadster and, instead, immediately focus on improving it and transforming it into the Berlinetta. 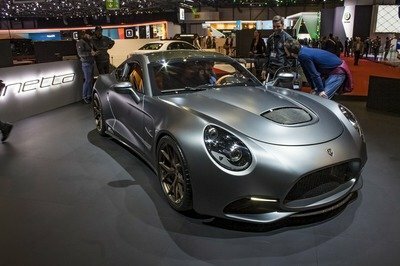 "Though there was great interest exhibited by the media and the public after the presentation of the 427, we realized how much the automotive world was changing and how it could soon present additional opportunities for us to deliver an even more exclusive, desirable product," said Parente. That, to me, sounds a bit like "we haven’t received enough deposits to kick-off production of an open-top model so we reckoned people might be more receptive to an all-weather variant instead." Now, this may not be at all true but you’ve got to take the statements made by small automakers with a pinch of salt or two as they often display the habit of tricking you into thinking they’re actually in the middle of manufacturing a car when, in fact, they just put together prototypes to gauge public interest at auto shows from time to time. Putting aside, Puritalia's business plan, there's no denying that the Berlinetta is quite an interesting looking vehicle. I mean, it would’ve been hard for it not to be. The 427 Roadster looked rather good, and this is the coupe version of that car, so there was little that could’ve gone wrong. Some old-school elements are there in the design, but they don’t annoy you, you don’t feel like you’re looking at a modernized Ferrari 250 but at a car, with its own character and voice although I can’t make up my mind if I actually like it or not. In the front, the Puritalia sports a look that makes me think of a surprised fish: the gaping mouth, the rounded cheeks - I mean fenders - and the circular headlights, they all complete this look. 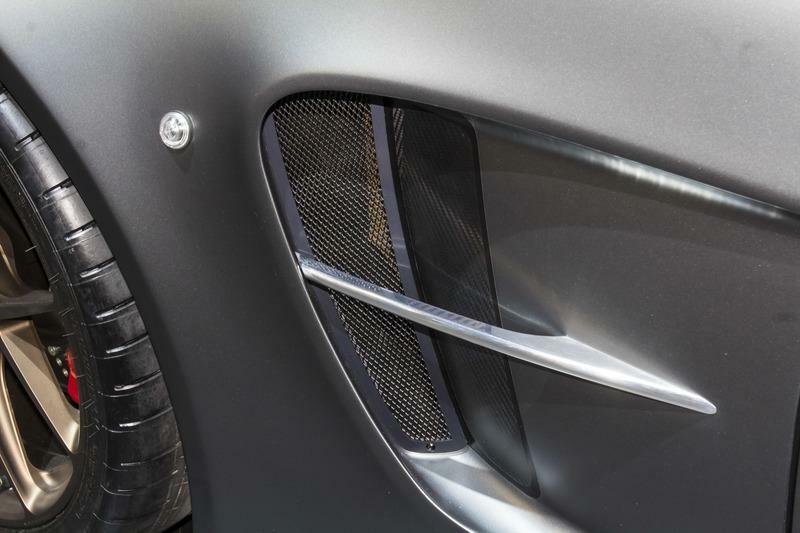 The main grille is guarded on either side by two smaller air inlets, each with its own protruding bumper lip that sits above the central carbon fiber lip. The thin indicators are placed in the top corners of the two side vents. 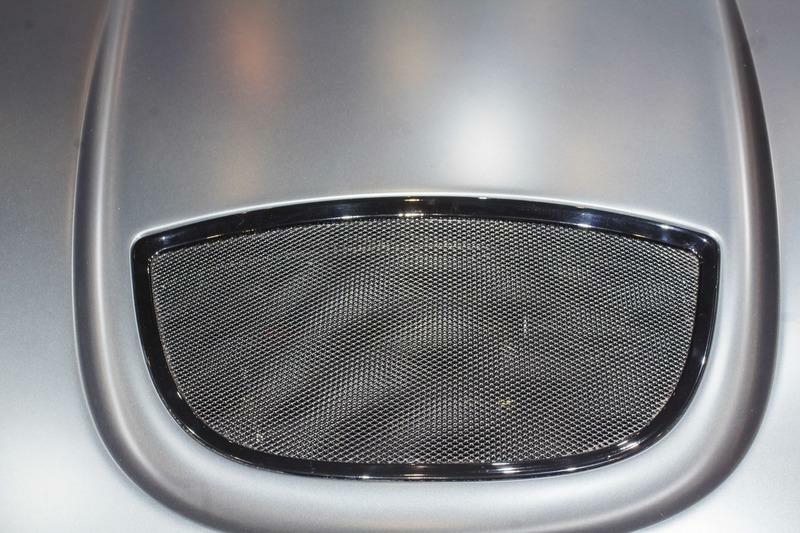 The round hood is home to a large meshed air vent that is bordered by a thick crease in the hood. The Puritalia logo, a simple ’P,’ is placed just on the top of the car’s nose. Beyond that, the front fascia is rather clean, devoided of aggressive creases or design lines, but it doesn’t need them as you know from the size of the bit of the car in front of the windshield that it means business and the 5.0-liter V-8 mated to an electric motor sure does. 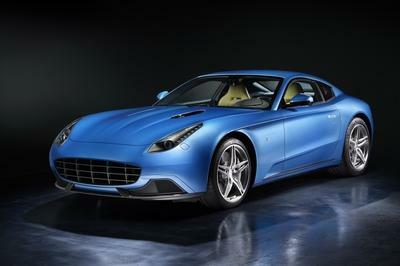 From the side, you can really see the rather compact proportions of the Berlinetta. The car measures just 177 inches in length which is less than five inches longer than the Porsche 718 Boxster. The Puritalia also sits quite low at 50.4 inches in height. Looking at it, you can clearly spot some lines that are familiar from the Mercedes-AMG GT, but the Berlinetta is a bit more aggressive with its side-exiting exhaust, carbon fiber side skirts, and the C-shaped air vents placed just before the doors. The vents feature a horizontal bar in the middle that directs air along the car’s side over the bulging rear fenders. The Puritalia doesn’t have exposed door handles. Instead, there’s a recessed area aft of the door which is where you’ll find the handle within the door. 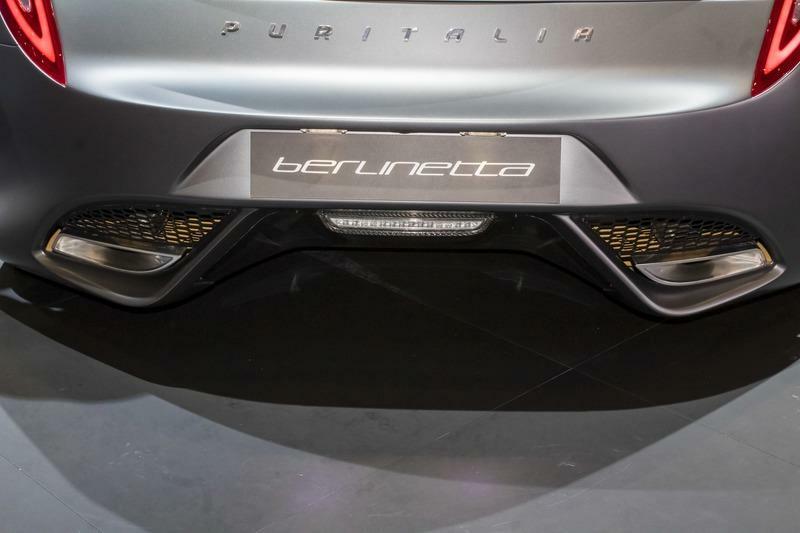 The tail end of the Puritalia Berlinetta looks a bit odd too. The car sports a pair of vertical (although placed at an angle) taillights placed on either side of the rear fascia. They extend way above the wing integrated into the trunk lid on the rear fenders. These teardrop-shaped light clusters define a design line that borders the rear center panel where the Puritalia name is spelled out in chromed letters below the trunk. The number plate housing takes place in the middle of the lower bumper above the opening of the car’s underbelly tunnel diffuser. On either side of the tunnel, there are two small air vents and two other exhaust tips. 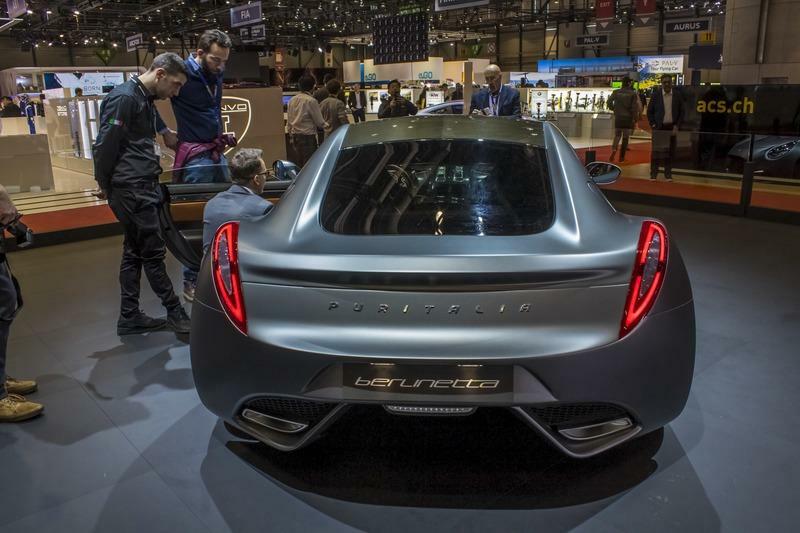 What’s interesting is that the Puritalia Berlinetta has a rather sizeable rear window, a bit like the Jaguar F-Type, a car that almost matches the Berlinetta in terms of length. 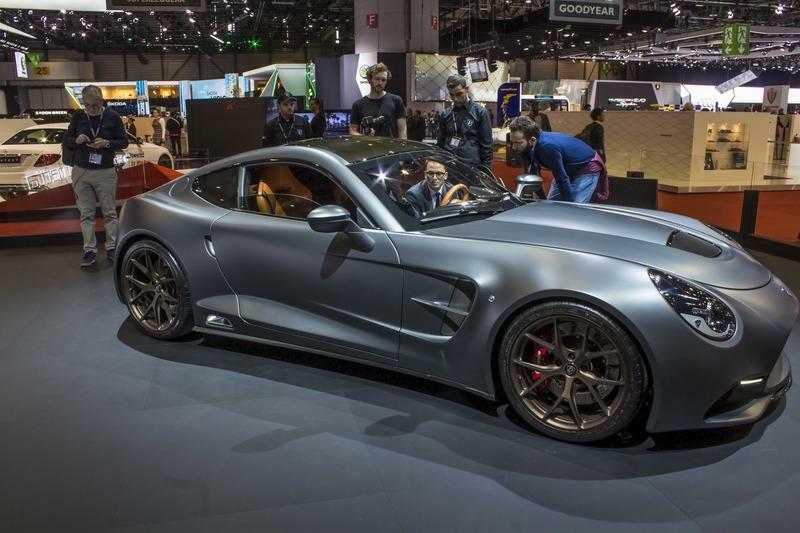 The Berlinetta displayed at the Geneva Auto Show sported a rather dull grey paint, but the company was quick to point out that merely applying the paint is a process that takes no less than 800 hours. The process " includes up to five layers of base paint, as well as five layers of transparency (glossy or opaque), that depends on the finish and desired color." 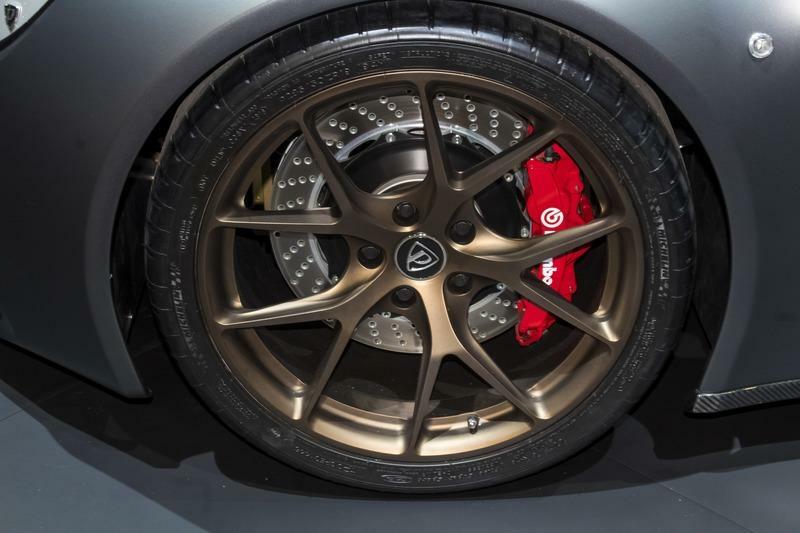 The 19-inch wheels on the show car were painted in dark gold, and they are made from a single block of forged aluminum that gets machined until you end up with the twin five-spoke design you see that gets wrapped in Michelin Pilot Sport tires. 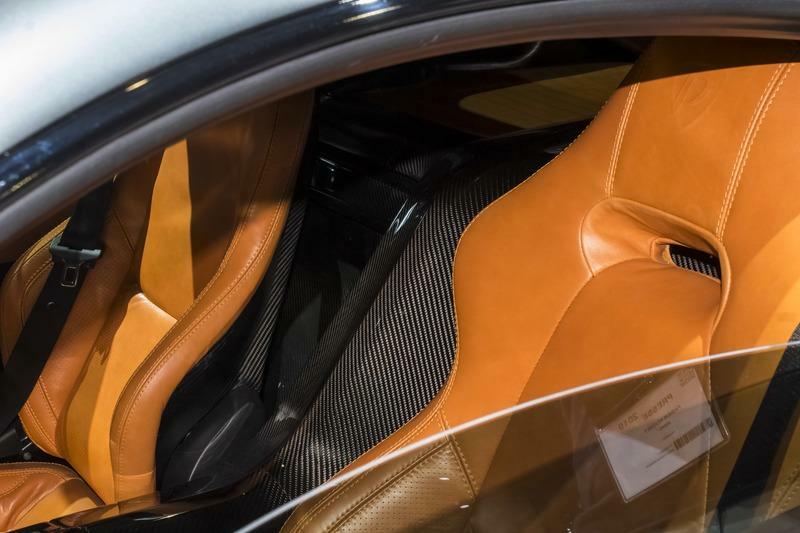 The Puritalia Berlinetta hides a tasteful interior where light brown Nappa leather mixes tastefully with exposed carbon fiber and billeted aluminum surfaces. 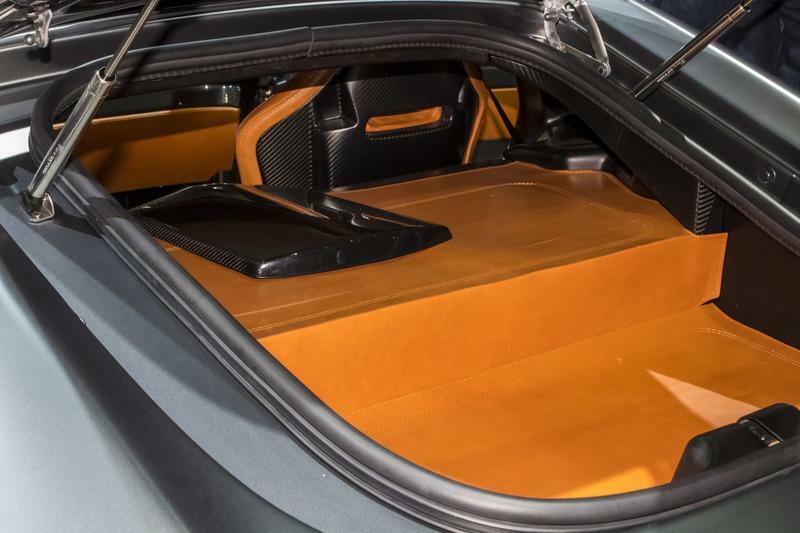 "The goal was craftsmanship that embraces technology," says Puritalia, whose designers made the best of the large transmission tunnel in between the seats and transformed it into the center of attraction inside the Berlinetta. Puritalia also brags that, inside the Berlinetta, there are almost no mechanical buttons and knobs. Once you seat in the driver’s Sabelt seat, you’re looking straight at the leather-wrapped steering wheel with three spokes that is covered in aluminum polished by hand. Behind the steering, there’s the rectangular 12.3-inch digital screen for all the gauges which is housed within an aluminum frame on the carbon fiber dashboard. The air vents on the sides of the dash are also made out of CNC machined aluminum, and so are the vertical vents placed on the top of the center console. Below these vents is where you’ll find the infotainment screen, again featuring an aluminum frame. You can control the infotainment system through the "Puritalia QuickCommand function [that] allows you to operate any command (such as windows, lights, air conditioner, or locks) in just two clicks of the joystick, without taking your eyes off the road." The circular knob that controls the QuickCommand function sits in between the seats just next to another knob positioned at an angle. These buttons look good although I’m not really a fan of the ultra-shiny appearance of the polished aluminum surfaces. Then again, each customer will be able to tell Puritalia's craftsmen what he wants. With this being said, the shiny aluminum is by no means as bad as the cheap-looking black plastic stocks on the steering column. 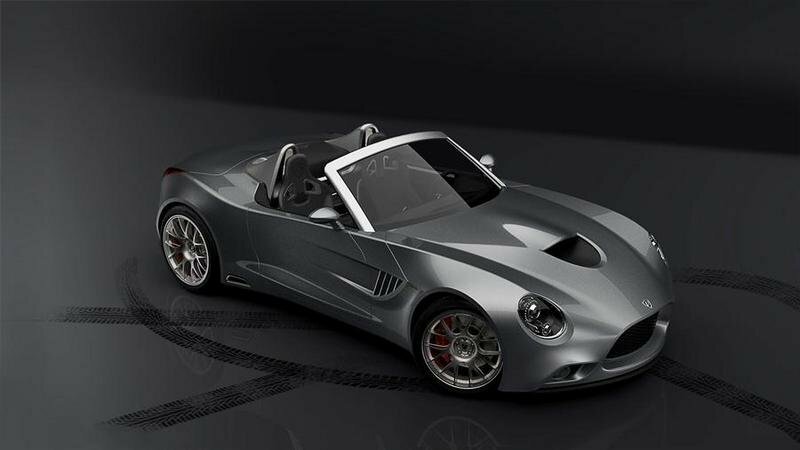 They would look at home inside a Chevrolet Spark but not inside the +$600,000 Berlinetta, a bespoke car built using only top materials. I understand the need for every manufacturer to cut corners somewhere in the production of a car but I tend to see far too often ugly stocks that ruin some otherwise great-looking interiors, and this follows the pattern, sadly. The Puritalia is a straightforward two-seater, so there's absolutely no room behind the carbon fiber seats. What you do get, though, is some cargo space in the trunk although I’d imagine you’d have to be very careful with the Nappa leather on the flat surfaces in the trunk so that you don’t damage it. As you’d expect, the people at Puritalia didn’t mess about when creating the Berlinetta. 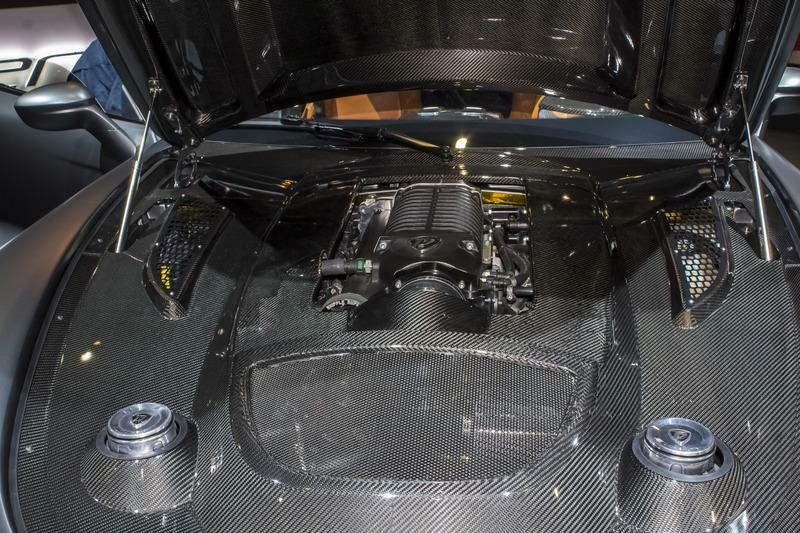 As such, it features a carbon fiber monocoque to which aluminum sub-frames are bolted in the front and in the back. According to the automaker, each of the four suspension plates connected to the sub-frames are made out of a 264-pound block of aluminum. After the parts are machined, the plates only weigh 22 pounds. The whole chassis weighs just 330.7 pounds. brushed and polished by hand. The carbon fiber tub can be finished in any degree between full gloss and matte finish." 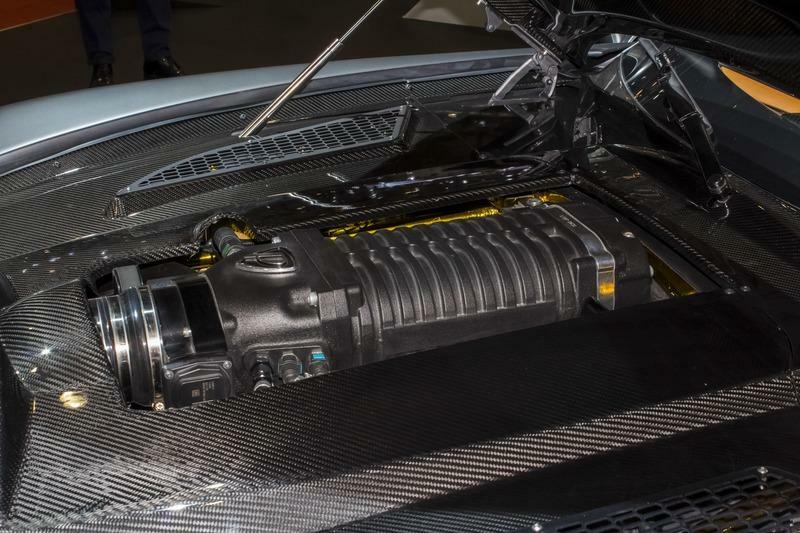 American supplier especially for Puritalia and it puts out 750 horsepower at 7,000 rpm and 647 pound-feet of torque at 4,400 rpm, quite a long way away from the most powerful naturally aspirated engine in the world, the Cosworth-developed mill inside the Aston Martin Valkyrie that cranks out 1,160 horsepower and 664 pound-feet of torque, but we’re still talking about a mighty engine. I mean the Ferrari 812 Superfast brings to the table just 40 horsepower more. But where the Superfast gets all its oomph from that glorious V-12, the Berlinetta relies on extra power from its 55-pound electric motor positioned behind the cockpit. 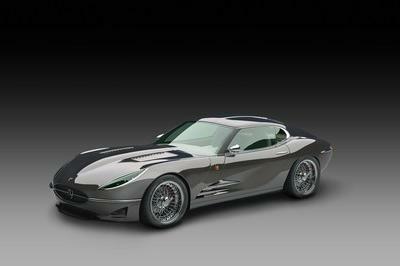 The engine, built by Yasa of Great Britain for Puritalia, develops 215 horsepower and 273 pound-feet of torque. Combined, the hybrid drivetrain delivers 951 horsepower and 920 pound-feet of torque which is, well, quite nice. Sure, there are other cars out there (with ICEs and also purely electric) that are even more powerful but it would be insane not to acknowledge that a car with 951 ponies on tap is really, really powerful. 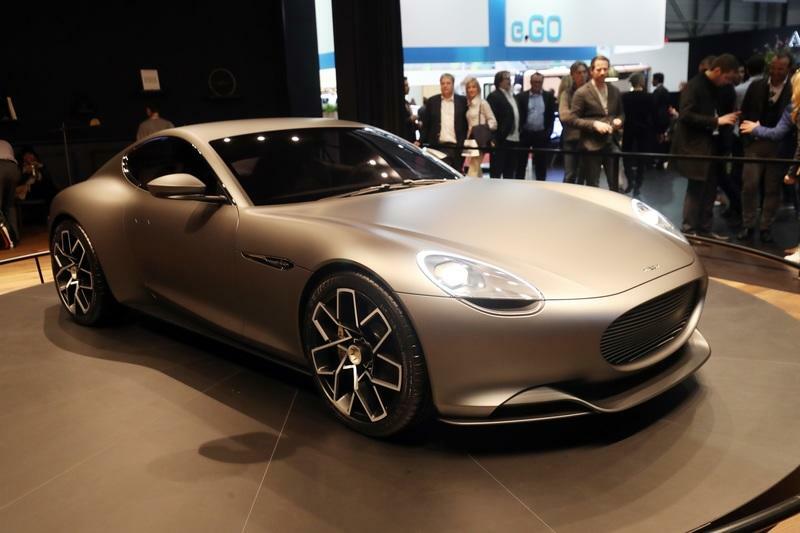 And this is also backed by the numbers released by Puritalia: 0 to 62 mph in 2.7 seconds, 0 to 124 mph in 7.2 seconds and a top speed electronically limited to 208 mph, as fast as an Aston Martin DB11 AMR which was, when launched, the fastest Aston Martin ever produced. To keep you away from a ditch, a fence, or a tree Puritalia equips the Berlinetta with ABS and traction control. cloud-based AI technology. In keeping with the state-of-the-art nature of the car, Puritalia also implements something they call the "Puritalia Digital-DNA" that is basically the brain of the infotainment systems. According to the company, a "modular software kernel is spread over all functionalities and controls, thus allowing remote maintenance for the car’s entire life cycle; not only updates for any errors or malfunctions but for the release of new functions as well." What is more, the Purhydrive determines the best hybrid deployment mode according to your driving style. You can also choose on your own from one of four driving modes: Sport, Corsa (where the assists are turned off for a ’pure track experience’), e-Power, and Superhydrive. Only while driving in this mode does the AI-based system track your driving habits and works out what’s best for you. As mentioned, the electric motor is placed underneath the trunk for a 50/50 weight distribution, and it's connected to two 700-volt lithium-ion battery packs that can store 5.2 kWh of electrical energy. This isn’t too much and, as such, the Berlinetta can’t even go 13 miles on electric energy alone but, then again, this isn’t the purpose of this car. The purpose of the electric motor is to make the car quicker. With this being said, a member of the so-called ’Holy Trinity’ from a few years back, namely the fabled Porsche 918, the member of the ’Trinity’ with the most powerful electric system, could only go 12 miles on electricity alone. The BMW i8 meanwhile, can go 15 miles (EPA) in EV mode, and you can’t exceed 75 mph while driving green. Lastly, the Honda NSX’s all-electric range is pathetic at just 1.86 miles. Normally, the battery packs work individually but, when you activate the Puritalia eMozione function that gives you a 45-second burst of the 273 pound-feet of torque from the electric side of things(otherwise, you’re relying on the torque from the ICE only), both battery packs work simultaneously. The transmission, which directs all the power to the back wheels, is a seven-speed, electro-hydraulic, robotized unit developed specifically for this car. 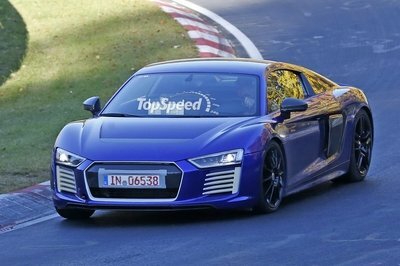 Apparently, the shifts take just 150 milliseconds, and the box relies on a three-plate AP Racing clutch. There’s also an electronic limited-slip differential. Suspension is by independent short/long arm double wishbones over twin-tube coil overs with electronically adjustable dampers with anti-squat and anti-dive geometry and aluminum control arms and uprights. The steering is of the basic rack-and-pinion type with a variable ratio and is assisted. Brakes are by Brembo with fixed calipers front and rear with six pistons in the front and four pistons in the back. The front discs have a diameter of 14.96 inches, and those in the back are just as big. The Puritalia Berlinetta is by no means a cheap car but, at the same time, it’s not as expensive as some of its peers in terms of performance. Puritalia announced an MSRP of $625,000 for each of the 150 units. I mean, a McLaren Senna puts out just under 790 horsepower which is 160 horsepower less than the Puritalia (or about as much power as your run of the mill Toyota Camry cranks out) and it costs $1.0 million. Then again, McLaren is a well-known automaker with an impeccable reputation while Puritalia is not. Puritalia is a small firm based in Naples, Italy that, so far, has yet to put out a car on the market. There have been promises and prototypes shown, but that’s about it. I do hope they break through with this car and I do hope it’ll go as fast on a track as the numbers suggest because, after all, you can get an Aventador SVJ for over $100,000 less ($518,000) and end up with a car that’s eight years into its production life, has been updated numerous times, broke the lap record for production cars on the ’Ring, and sports a majestic V-12 that delivers 760 horsepower. 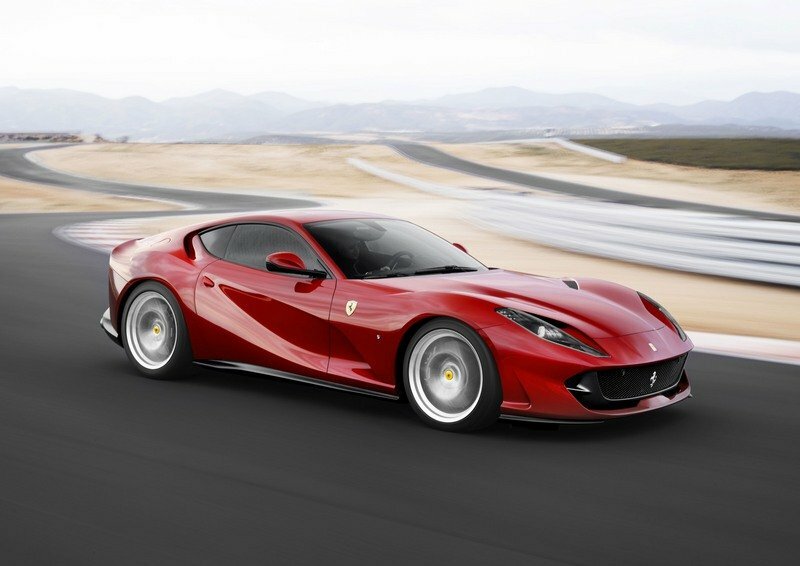 The Ferrari 812 Superfast is the top front-engined offering from Maranello. 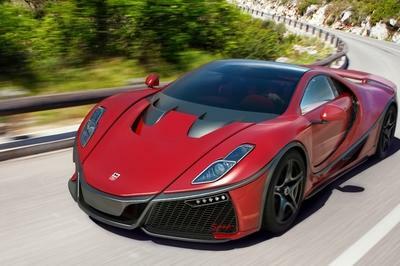 The Italians pulled no punches when releasing the latest V-12-powered GT and unearthed un unapologetically braggy name from the past: Superfast. You can trace this name back to the ’60s when Ferrari christened some high-power gas-guzzler especially made for American customers with this name. 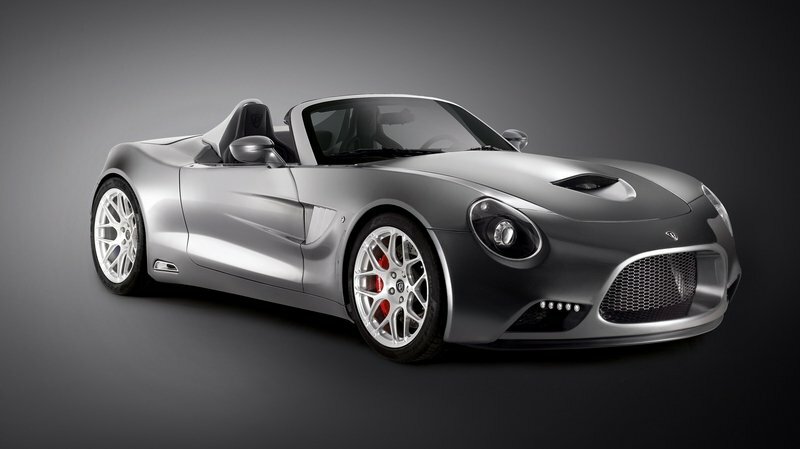 The 500 Superfast is the crown jewel of the America lineup, and it was equipped with a 395 horsepower, 5.0-liter V-12 that pushed the car to 175 mph. By comparison, a ’69 Corvette with the 427 engine in it was dyno’ed at about 400 ponies. Ferrari wanted to keep the tradition alive and gave the 812 buckets of power, 789 horsepower at 8,500 rpm and 530 pound-feet of torque at 7,200 rpm to be precise. It then wrapped that monstrous drivetrain in a luscious body with an aggressive mouth in the front and a fastback tail. It’s like an F12 turned up to 15 really. tested an 812 Superfast that cost $474,486. You might find it a bit odd that I’m comparing the Puritalia Berlinetta with the Piech as the Swiss car is: A) way slower and less powerful and, B) a proper EV. But both are grand tourers, both champion, the Piech more and the Puritalia less but anyway, green technology and both are made by up-and-coming boutique manufacturers. The Piech Mark Zero, like the Berlinetta, was unveiled at the Geneva Auto Show and it stunned everyone with its clean design that is, arguably, inspired by Italian cars from the ’60s in similar fashion to the Puritalia. The tail end is also similar to a product from the house of Maranello, a Drogo-penned 250 GT to be precise, although you can see a bit of a Kamm-back influence there as well. Underneath the skin, there’s a trifecta of electric motors, two in the back and one in the front. Each of them produces 201 horsepower, but Piech didn’t disclose the combined output (is there a chance for it to not be 603 horsepower?). With the cars weighing almost 4,000 pounds, it’s amazing that it reaches 60 mph from a standstill in 3.2 seconds en-route to a Germany-friendly top speed of 155 mph. The Puritalia, remember, weighs just over 3,100 pounds and it’s much more powerful too. But the Piech makes up for the lack of ultimate performance by boasting with some mighty impressive numbers in the efficiency department. For starters, its unique 441-pound air-cooled battery pack allows it to go 311 miles on a charge. Also, you can fast-charge it up to 80% (or about 250 miles) in just four minutes and 40 seconds. The current leader in terms of fast charging, Tesla’s Model 3, needs three minutes and 30 seconds to load up with 170 miles-worth of energy. This is game-changing stuff as it means you’ll need about as much time to recharge a Piech as you need to refill your tank in an ICE-powered car. The best part is that you can expect to get your hands on this new battery cell technology for about $225,000 if the rumors regarding the pricing prove to be correct. The Puritalia Berlinetta is, for some, the best of both worlds: it’s powered by an old-school V-8 engine and a modern electric one. It features AI learning to give you the best hybrid experience and, at the same time, you can turn all the assists off in Corsa mode when you are about to thrash it on a race track. It looks to be inspired by the design cues of the ’60s but manages to stay relevant by using carbon fiber and aluminum in the construction of the tub and the body. All in all, it’s an interesting car, and it’s now up to Puritalia to live up to all the claims it’s made and actually get down and make the car. 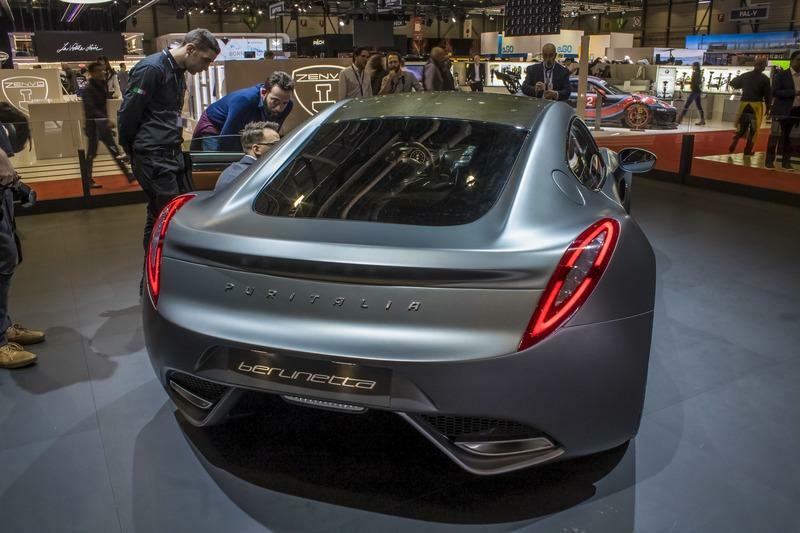 It’s clear that Italy wants to lead the charge when it comes to electric and hybrid supercars and Puritalia might be able to ride this wave if it moves quickly enough and if the car is as good as it’s tipped to be. Read our full review on the 2013 Puritalia 427 concept. Read our full review on the 2015 Puritalia 427 Roadster. 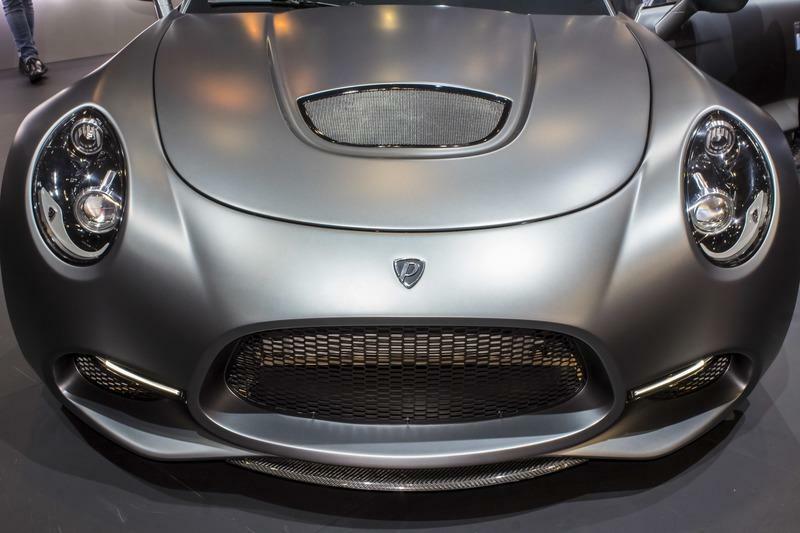 Italdesign’s Zerouno Duerta Struts Into Geneva And You Can’t Have One.